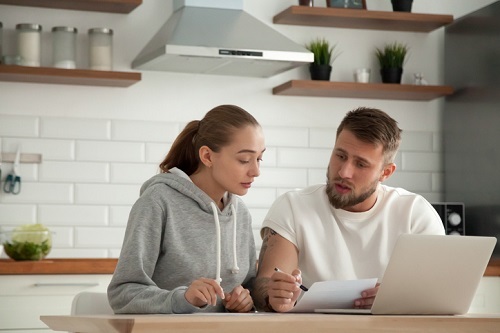 A recent survey by the Angus Reid Institute found that inflamed housing costs are taking a toll on young Canadian home owners’ well-being, with a significant proportion describing their experiences as “uncomfortable” to “miserable”. The poll, which took stock of the sentiments among home owners in the hottest markets, also found that in general, younger people have a negative mindset surrounding housing costs and availability, while older people tend to have more positive viewpoints. In Vancouver, young respondents who reported being uncomfortable and miserable are deliberating between ownership, renting, or living in another arrangement. The city’s young home owners cited high monthly mortgages and the need to commute far as the leading reasons for their gloomy outlook. “More than half of the ‘uncomfortable’ say they are giving serious thought to leave Metro Vancouver, while that number rises to eight-in-ten (81%) among the ‘miserable,’” Angus Reid stated, as quoted by LowestRates.ca. The survey results among Toronto’s young home owners are similarly discouraging. In recent years, affordability has become a dominant concern among home owners and hopeful buyers alike in Vancouver and Toronto. “It is a progression of pain for both regions, where Vancouver really seems to be settling in, resigned to living with this chronic pain,” Angus Reid executive director Shachi Kurl said earlier this week, as quoted by CBC News. Almost 75% of those living in Vancouver indicated a belief that housing costs have become “unreasonably high”. 20% of respondents said that prices need to shrink by 30% or more, and 29% said that their budgets would welcome at least a 10% drop. Meanwhile, 56% of Toronto’s residents polled said that they are burdened by current prices. 13% added that they would like to see costs fall by 30% or more, and 22% said that a 10% price decline would make ownership more feasible. Of course a 10% decrease in price would be welcome. Maybe, just maybe, the new qualifying rule of Posted +2 has changed the landscape. Well done, Morneau.